Bengaluru: The North Sentinel Island in the Andamans has gained international prominence in the past few weeks after an American evangelist-tourist was killed by the isolated Sentinelese tribe after he tried to make contact with them. "A Christian missionary group, All Nations, which is based in Kansas, released a statement that said that the 27-year-old was a missionary with the organisation since 2017 and had been training to convert the isolated tribe to Christianity since he was in college," reported The Financial Express. 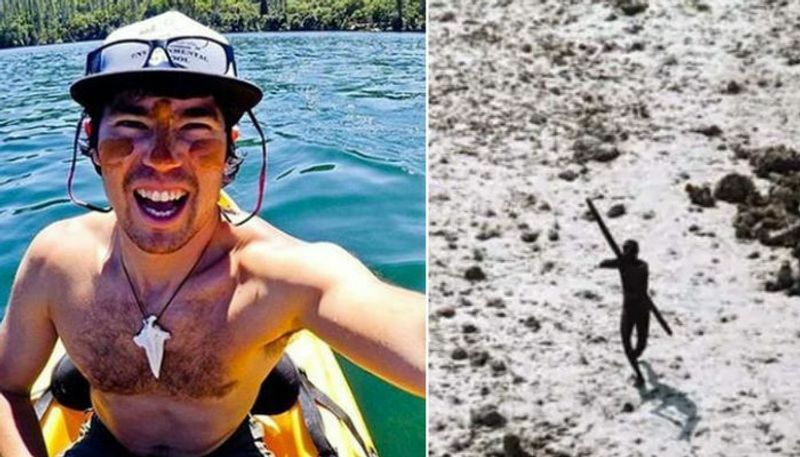 A friend of the victim has gone on record to tell Daily Mail of the UK that John Allen Chau had "lost his mind". Since the killing of John Allen Chau, there have been numerous theories floated around about the Sentinelese tribe, with many calling them "hostile" and those who "shoot arrows on any invader". However, that was not always how the secluded tribe was known. Twenty seven years ago, a young Indian woman had made contact with the Sentinelese tribe, believed to be living on the island for nearly 60,000 years. 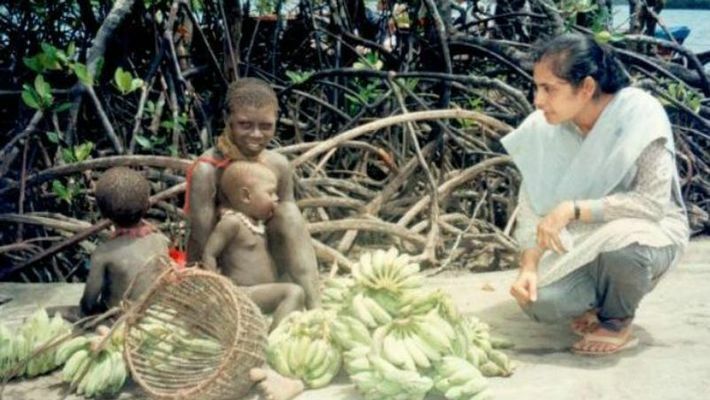 Dr Madhumala Chattopadhyay was the first woman to make contact with the isolated tribe on the North Sentinel Island. The historic moment happened on January 4, 1991. Now, Madhumala is a senior research officer with the ministry of social justice and empowerment. As a researcher, anthropologist Madhumala established friendly relationships with the women of the Sentinelese tribe. "Never ever in my six years of doing research alone with the tribes of Andamans did any man ever misbehave with me. The tribes might be primitive in their technological achievements but socially they are far ahead of us," Madhumala was quoted as saying by probashionline website in 2015, which carried her picture of handing over a coconut to a Sentinelese man. According to the portal, this is what happened in 1991. "On January 4, 1991, MV Tarmugli, the Andaman Nicobar Administration ship, lay anchor off Allen point on the south west part of the North Sentinel Islands. The purpose was to attempt a friendly contact with the Sentinelese. Not much was expected, probably like many futile missions in the past this probably would also to go down in the file as another wasted attempt. "However unlike in the past, this mission had one difference, there was a woman anthropologist in the contact team. At around 8 am in the morning the team of 13 including Madhumala set sail for the Island in a small craft. The key team members were S Awaradi (Director, Tribal Welfare, A&NI administration) - Team Leader, Dr Arun Mullick – Medical Officer (for providing medical attention in case of sickness or injury) and Dr Madhumala Chattopadhyay-Anthropologist. The rest were support crew," it said. Madhumala, as a researcher had studied about the Sentinelese tribe and she was close to do what no other person had done in history. Her interest about the tribe, began as a 12-year-old after reading a report in The Telegraph about the birth of a bay in the almost extinct Onge tribe. The team started dropping coconuts in water. And "a few Sentinelese men came sprinting and waded on the shallow continental shelf to collect the floating coconuts". These were good signs as the tribe had accepted the team's gesture. Then, there were shouts of “Nariyali Jaba Jaba” from the tribe. "Madhumala recognised this cry to mean 'more and more Coconuts', a distinct Onge dialect, given her knowledge of a number of Andamanese languages. The Sentinelese in the second round had become bolder. A young Sentinelese youth waded up to the boat and touched it with his hands. Following him more men closed in to collect the coconuts," wrote the website. "In this moment of breaking the ice a Sentinelese youth who was sitting on the shore got up and aimed his arrow at the contact party. Fazed but not betraying fear, Madhumala gestured at the youth to come over and take his share of the coconuts. This was a moment of standoff, Madhumala refusing to remove eye contact and the arrow refusing to go down. "The arrow was released but Providence intervened. As the marksman was about to be released , a Sentinelese woman standing nearby gave a push to the marksman, and the arrow missed its mark and fell harmlessly in the water. The woman had done that on purpose thus saving the contact party from either severe injury or even death," it added. "A woman in the contact party indicated to the Sentinelese, who are extremely protective of their women, that the boat people meant no harm. For a brief moment the Sentinelese let their guard down, and allowed outsiders into their world. "Madhumala came back to the North Sentinel Islands as member of another contact party on 21 Feb, month and a half of the first contact. This time the welcome was enthusiastic. The Sentinelese climbed up on the boat to receive the coconuts. Thankfully no arrow was aimed this time." In 1991, Madhumala became the first woman to visit the Jarawas tribe on the island. Seeing her, The Jarawa women shouted "Milale Chera" (friend, come here). They also started dancing to welcome her. After this, Madhumala forged a friendly bond with the Jarawas. She went to their huts, played with their children, shared their food and also helped in daily chores. However, her requests to the authorities concerned to give permission to stay with the overnight were refused. But, Madhumala had shown the world that the Sentinelese tribe was not hostile. She showed us how to forge a bond with the “uncontacted”.